Hi, welcome to visit our website. Today I am here to share with you some of my favorite Aftercare Tips For Tape In Hair Extensions. So the first things, first this is my go-to item when it comes to my clients. I want to make sure every one of them goes home with an extension brush. Really great and really important to make sure that they are rooted area remains matte and tangle free. So now what you’re gonna do is you’re gonna take this brush and go right over the point of attachment at least twice a day. Making sure that it’s not gonna have any mats formed whatsoever. OK, you want to be certain that when you’re utilizing the brush, you’re working with dry hair. So if you come out to shower have them stay away from brushing. It right away you guys since hair will still be in. Its most elastic form at that point, so another thing to avoid is using direct heat over the point of attachment. This is particularly in when you’re working with the tape and extensions. With the tape ends remember you’re working with the medical-grade adhesive. So we want to avoid merging them together with the routine. OK, you guys so you can keep the point of attachment or you can actually use heat below the point of attachment. I should say with low temperatures you don’t want to go too extreme, you can use about I would say 350 would be my stopping point. Anything above that is gonna cause more wear and tear to your extensions sooner than later, so just please keep that in mind. Now let’s talk about washing the hair. Now some of the clients are typically using to wash their hair daily or sometimes every two to three days. So what we like to promote with extensions is washing it every three or four days also and in between washes you can definitely utilize a dry shampoo, it definitely promotes you love dry shampoo to give it that second day feels even if it is on that third or fourth days. Also, remember to keep in mind you guys when you’re shampooing what you want a shampoo like normal, but at the same time, you want to condition only the mid-shaft to the ends. Keep the conditioner away from that point of attachment at all times no matter what method you’re working on. So that way it’s not going to promote slipping sooner than later and once again when it comes down to tape in hair extensions as far as shampoos and conditioning sulfate free products or what we love and promote. So let’s recap when it comes to active care with extensions. You want to use that twice a day first thing in the morning and right before they go to bed. Number TWO: we want to keep away from direct heat over that point of attachment. Number THREE: when it comes to washing, remember you guys utilize your dry shampoo. You want to kind of keep your days of washing a little bit separate than normal. Whether it be two to three days four would be awesome as well. 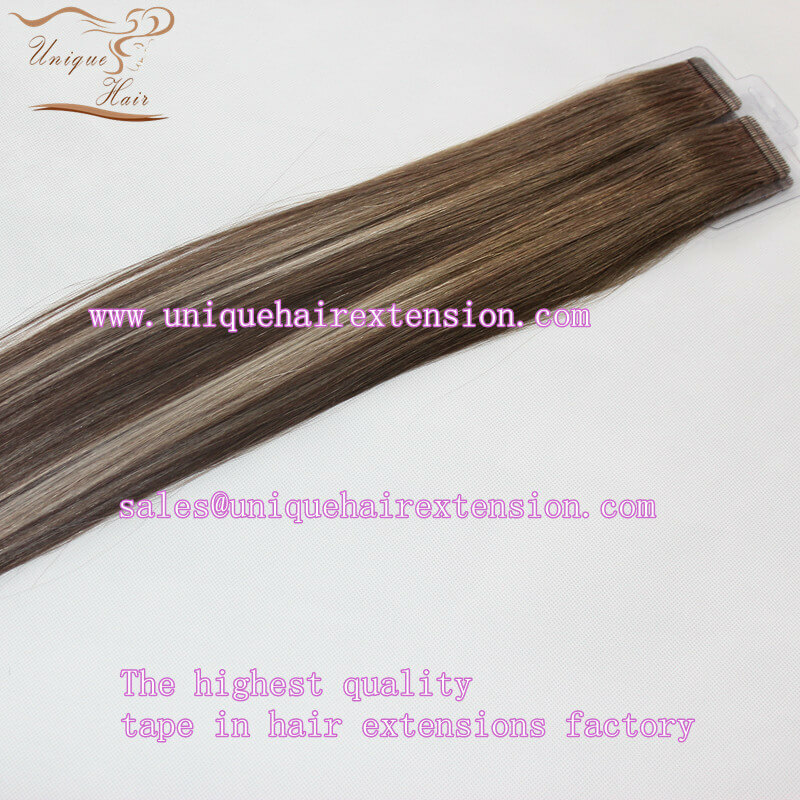 So but that being said you guys any questions about the tape in hair extensions, you can email us. Our mission is to produce the highest quality human hair extensions for a reasonable price.